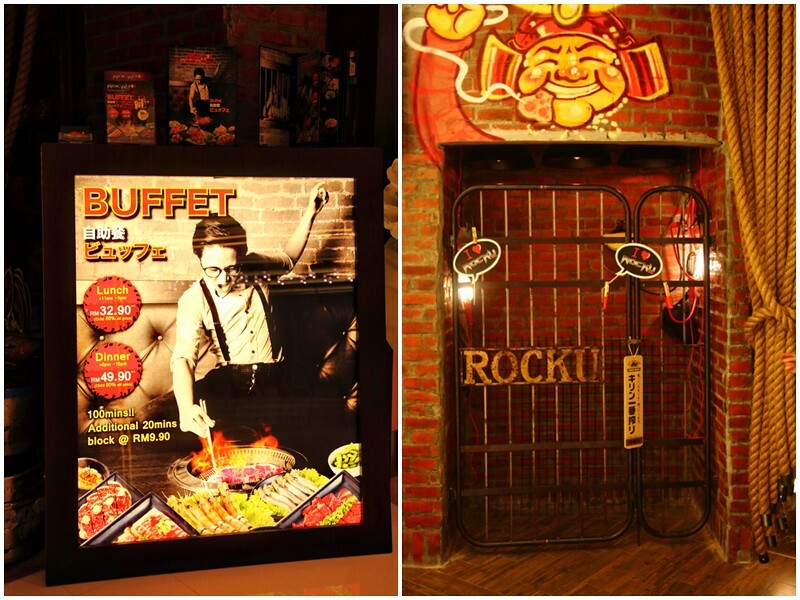 At Rocku Yakiniku, guests could savour the classic Japanese charcoal grill experience in buffet style. But Rocku Yakiniku has a few things up their sleeves that set them apart from the other BBQ restaurants. It is the first of its kind to incorporate live and modern entertainment in a casual sit-down BBQ. 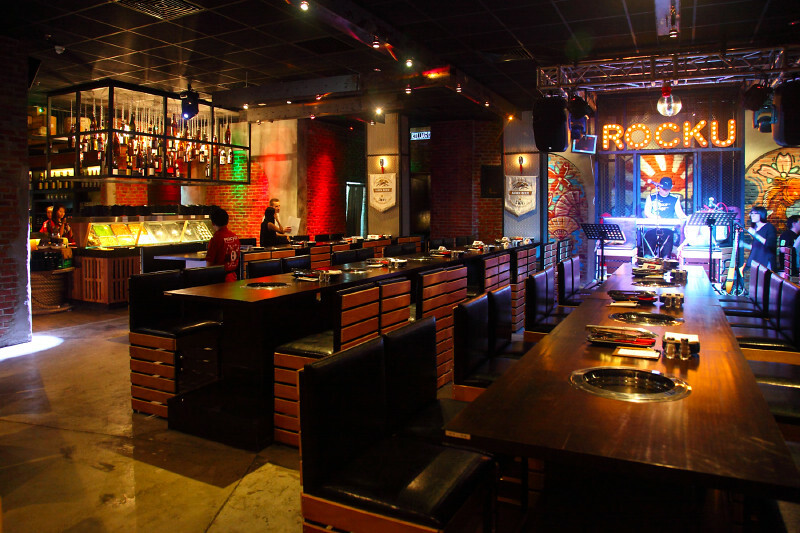 This unique concept of restaurant, dubbed as “restaurtainment” actually originated from Singapore and aims to deliver a fresh dining experience to diners in Malaysia. 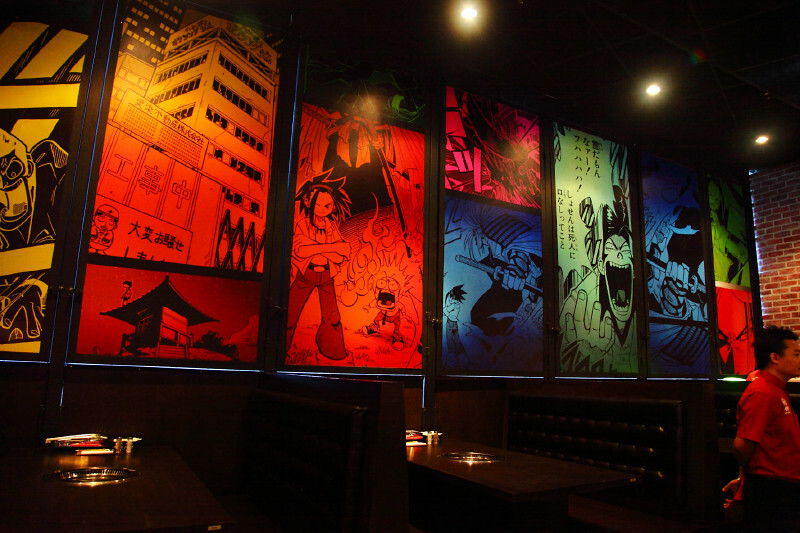 One noteworthy thing about Rocku Yakiniku is its cool, artsy atmosphere. 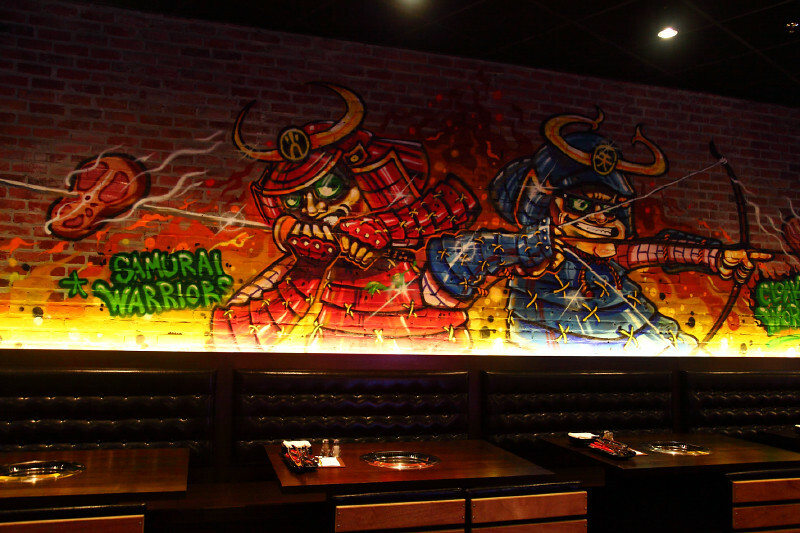 The side walls of the restaurant are wallpapered in manga pages and the back wall features a hand-drawn mural of cartoon Samurai. 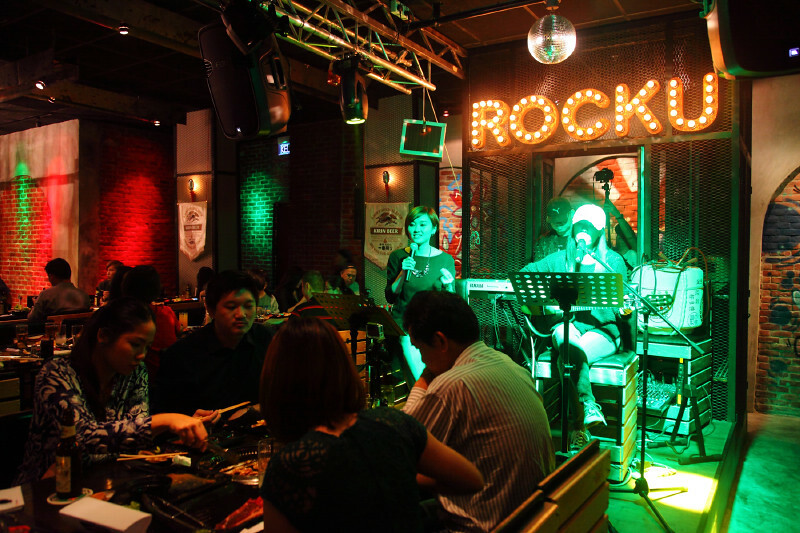 A small stage is set up at the center of the restaurant for various performances such as music, magic shows and game shows. Almost everyone has an unobstructed view of the stage. But for those who are seated at the side and near the front, you won’t miss anything thanks to a couple of aptly placed projector screens. 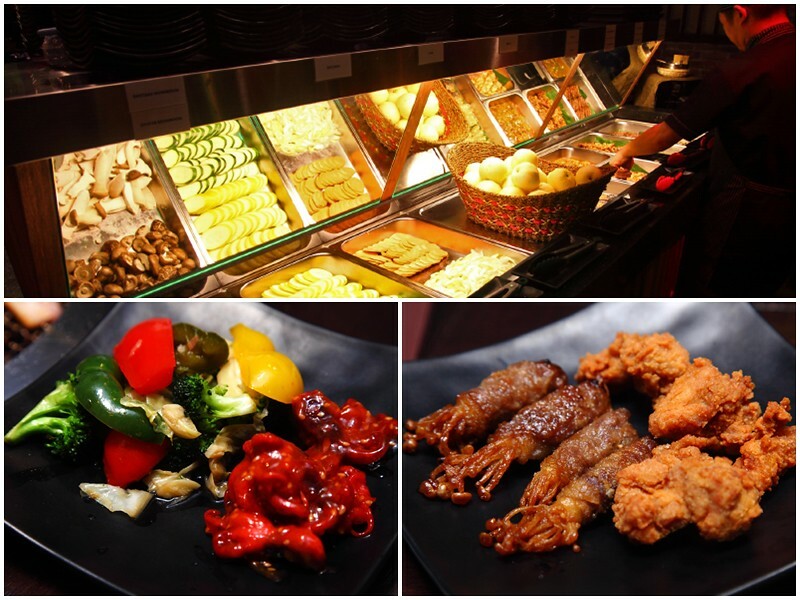 There are two sessions of buffet here: lunch @ RM32.90++ and dinner @ RM49.90++. Both sessions last for 100 minutes, which could be extended at RM9.90++ for each additional 20 minutes. It might sound short but the time provided is actually more than enough to enjoy a satisfying meal. For avid Instagrammers, there’s a jail-like torture chamber located at the side of the entrance for a quick shot. 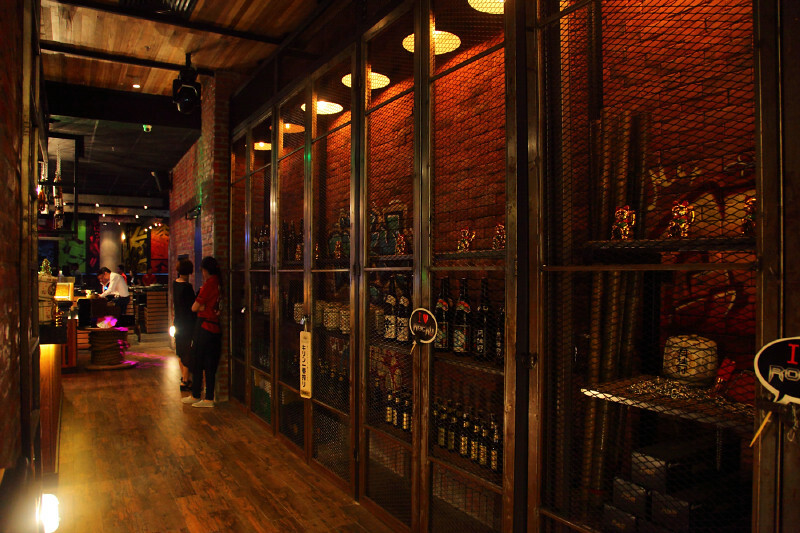 The corridor leading to the dining area is flanked by various Japanese figurines, sake bottles and containers. 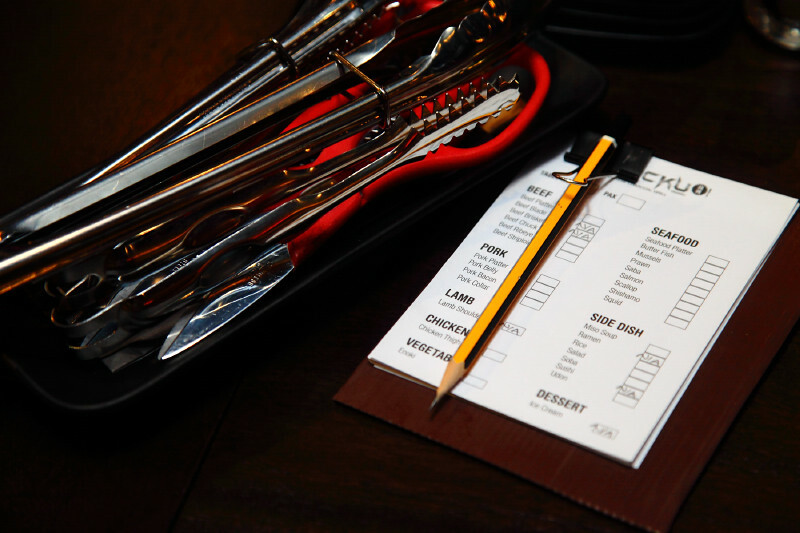 If you happen to have any dietary restrictions for personal or religious reasons, do let the staff know and they’d adjust the meat and seafood selection accordingly. 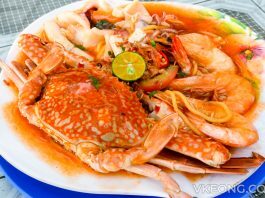 Unless specified, a group of 4 is usually served with a platter of seafood, beef (imported from Australia and New Zealand) and pork. 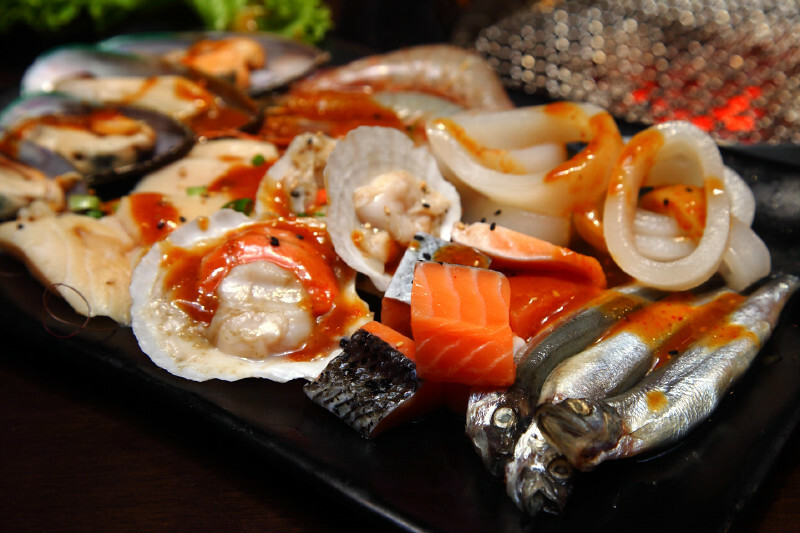 The seafood selection includes butter fish, salmon, prawn, scallop, squid, mussel and shishamo. 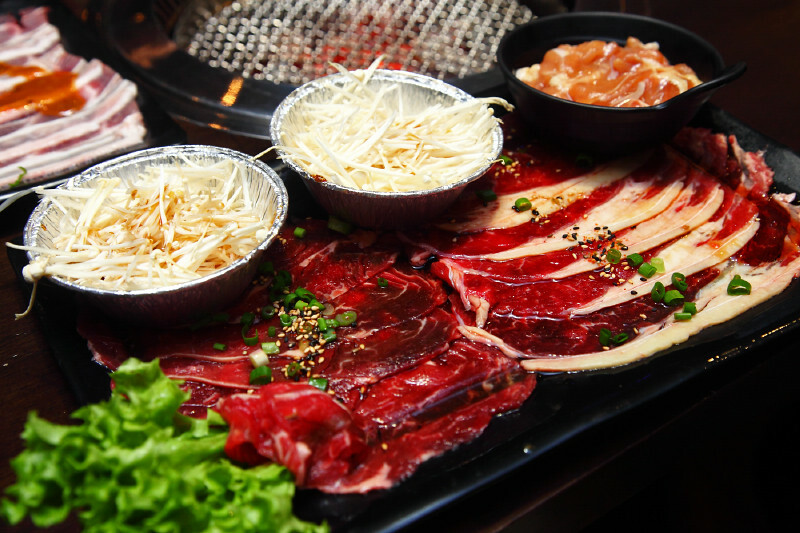 The meat platter offers a variety of cuts such as chicken thigh, rib eye, beef blade and beef striploin. 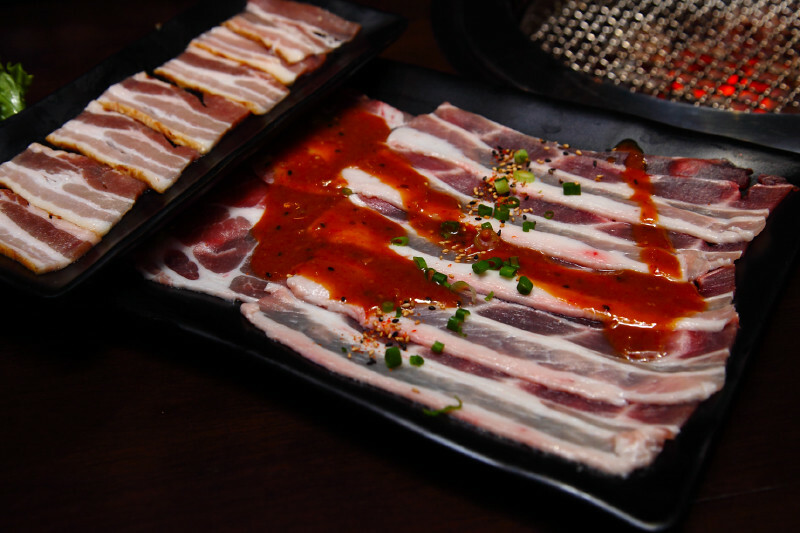 As for the pork platter it consists of finely sliced pork belly, bacon and shoulder. But of course you are not limited to ordering the platter alone. You could also check the ordering chit for a variety of food like lamb, chawanmushi, soup, rice and a variety of side dishes. While waiting for your orders to arrive, feel free to grab some vegetables and pre-cooked dishes from the hot food bar. Based on some random samplings we found the fried chicken and chuka idako to be the more enjoyable ones. And while you’re here check out the ceiling which is full of hanging sake bottles. There are three dipping sauces available: ponzu, spicy miso and chili sauce. 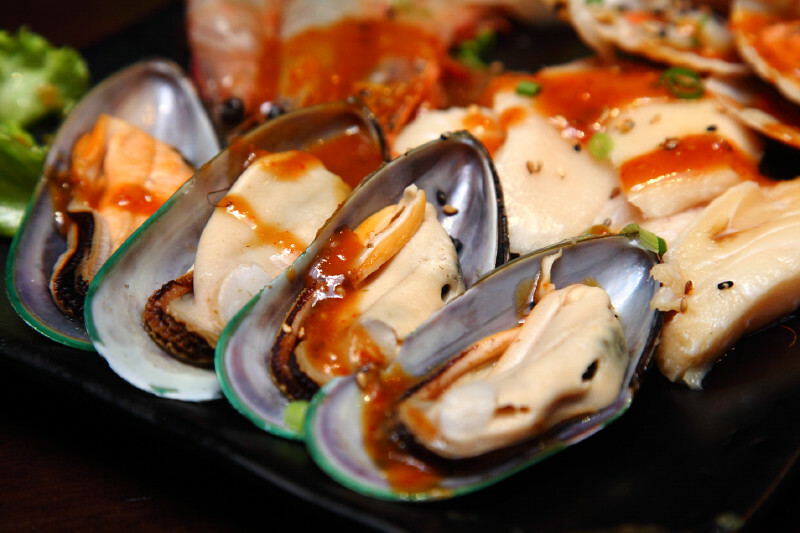 Personally, I think the spicy miso was the best and goes well with all kinds of meat and especially seafood. One of the common problem about BBQ restaurants is that most of them leave you smelling like charcoal grill – even in those with huge smoke suction vents installed. 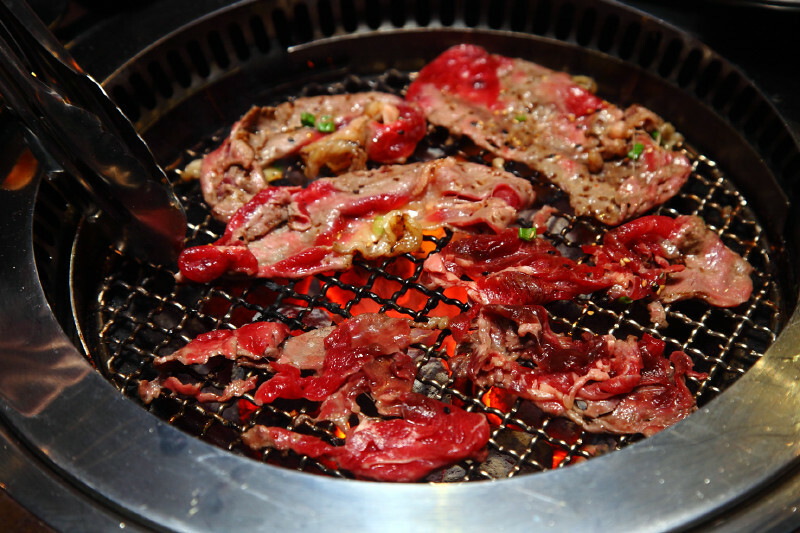 Rocku Yakiniku acknowledged this problem and tackled it right at the root by installing the suction system around the grill instead of at the top. It really worked and the place was completely smoke-free. At the start of the meal, the charcoal was burning incredibly hot so it would only take seconds for the thinly-sliced meat to cook on each side. 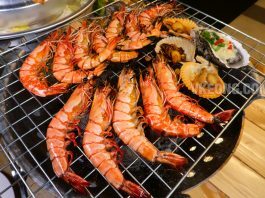 Among the many meat and seafood options available, I think the seafood was the most delicious because of their freshness. The meat cuts were tender and good as well, just not as great as the seafood. But I might be biased since I have always preferred seafood to meat for BBQ. 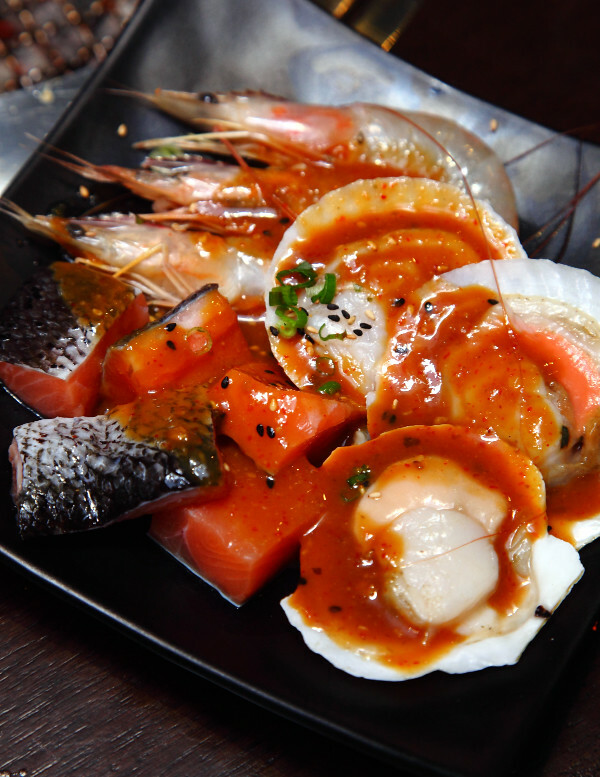 The salmon, prawn and scallops were the three things I enjoyed the most hence the additional order. Currently, the live entertainment performances are only available from Wednesdays to Saturdays from 7pm onwards. 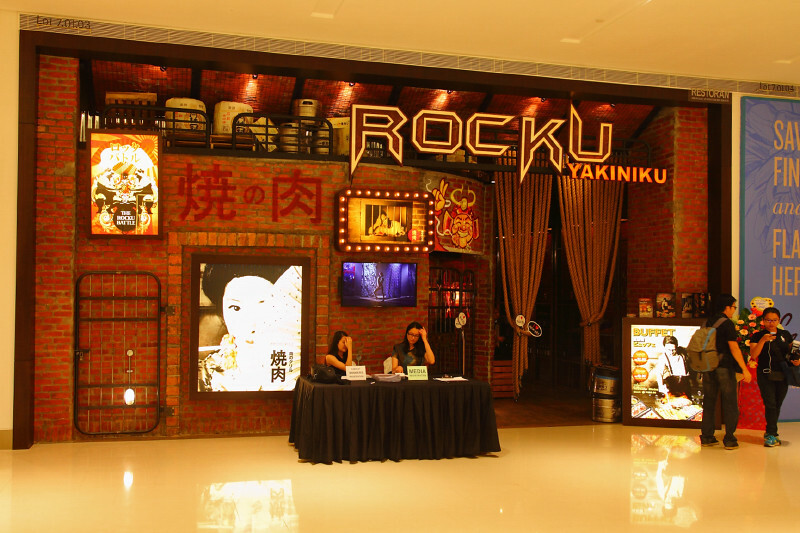 For a detailed schedule you should check out Rocku Yakiniku’s Facebook page for announcements or simply refer to the restaurant’s entrance display. There could be English, Korean, Cantonese or Mandarin music performances and various unique events not limited to magic and game shows. If you ask me, RM49.90++ is actually a very reasonable price to pay for a quality Japanese BBQ buffet Rocku Yakiniku is offering. 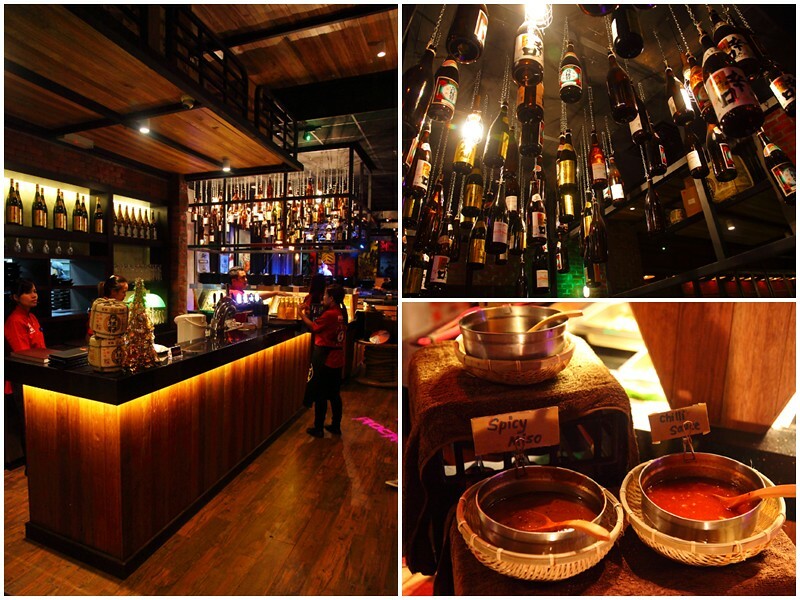 Moreover, the food is generally good (albeit somewhat lacking in choices) and the ambiance is uniquely great. Although there were some minor issues such as mixed up order and drinks taking longer than it should to arrive, the experience was overall pretty pleasurable. 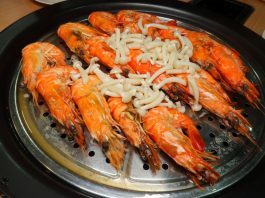 Meat and seafood lovers on a medium budget should find Rocku Yakiniku an irresistible place to dine out.